This vintage postcard features a supersized fish on the back of a GTO. 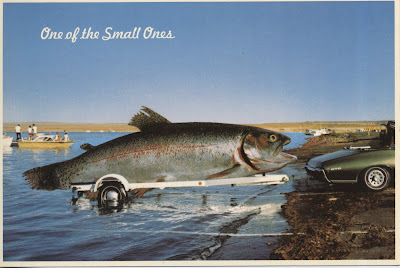 The front caption says "One of the Small Ones" The back says, "The Big One Got Away." This card is undated, published by Petley.